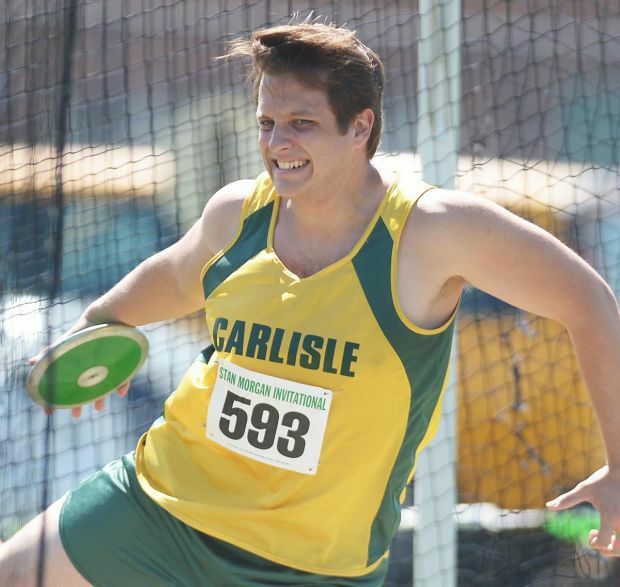 Carlisle's Kyle Yorlets competes during the 2013 Stan Morgan Invitational at Carlisle High School. Police arrested five juveniles between the ages of 12 and 16 in connection to the fatal shooting of a Carlisle High School graduate in Nashville, Tennessee, Thursday. 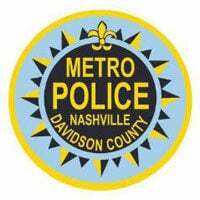 Metropolitan Nashville Police said Kyle Yorlets, 24, and a 2013 Carlisle High School grad, was gunned down behind his home in the 3200 block of Torbett Street in around 3 p.m. Thursday. Police reported on Twitter around 1 a.m. Friday all five juveniles, 3 girls, ages 15, 14, & 12, and 2 boys, ages 16 & 13, were arrested at a West Nashville Walmart. All five juveniles are charged with criminal homicide. Police said they have recovered the gun used in the killing as well as a stolen car used in the incident. Nashville police said Friday their investigation showed that prior to the shooting the juveniles were in a stolen Chevrolet pickup driving in the alley behind Yorlets' house. Police said the juveniles interacted with him, took his wallet and demanded his car keys. It is believed that he was fatally shot after he refused. A preliminary investigation revealed Yorlets was shot outside his home. He made it back inside, police said, where he was found by one of his housemates. Yorlets graduated from Belmont University in Nashville in May 2017. He was the lead singer for Nashville-based band Carverton, a band he founded with Dillsburg native Michael Curry in the summer of 2014, according to the band's website. The Tennessean reported that Belmont President Bob Fisher said in a campus-wide email that the university would offer counseling to students and employees as needed. NASHVILLE, Tenn. — Metro police in West Nashville, Tennessee, said last night that "several" suspects had been taken into custody in the shooting death of a Carlisle man earlier in the day. According to ABC27, WKRN, an ABC affiliate in Nashville, reported that police found Kyle Yorlets, 24, shot inside a home in the 3200 block of Torbett Street about 3 p.m. Police told the affiliate that Yorlets was shot outside the home and made it back inside where one of his housemates found him. Yorlets was taken to a hospital where he was pronounced dead. WKRN reported that Yorlets was from Carlisle and went to Belmont University. He is listed as a 2013 graduate of Carlisle High School and was currently playing in a local band in Nashville and working at a restaurant. Investigators told the Nashville station that a red Chevrolet Colorado pickup truck was stolen from Oak Grove, Kentucky, and was used as the getaway car. It was recovered in the 1600 block of Timberland Drive in the Hermitage area of Nashville. Police said witnesses reported that three juveniles got out of the truck. Two of them fled in a silver or light blue crossover type car and the third was last seen fleeing on foot. About 9:30 Thursday night, the Metro Nashville Police said on Twitter that "Metro officers have taken 'several' juveniles connected to the murder of 24-year-old Kyle Yorlets into custody. The minors were discovered at a Walmart in West Nashville inside a stolen vehicle, according to police."